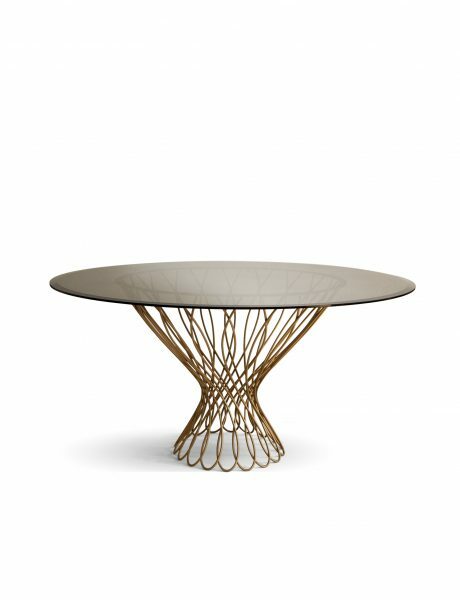 Woven Allure and polished glamour make this stunning table a true stand out piece. The beauty of the construction, and a simple, shapely silhouette set the tone for moments of indulgence. 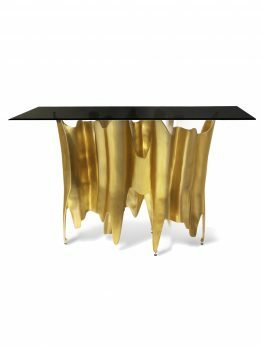 Interlaced exotic matte gold iron base with sophisticated bronze glass top make this piece truly exceptional. 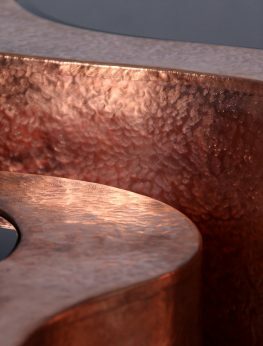 Interlaced exotic matte gold iron base, sophisticated bronze glass top. 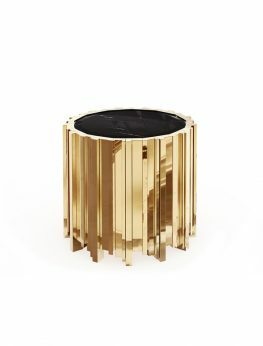 Made with the highest quality of brass and nero marquina marble, the Empire side table is a beautiful addition to any interior. 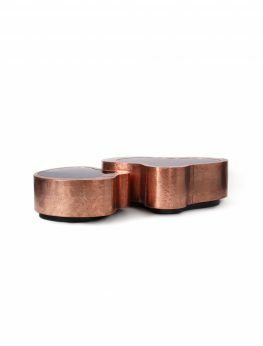 It is a versatile item which brings a sophisticated charm to any setting. 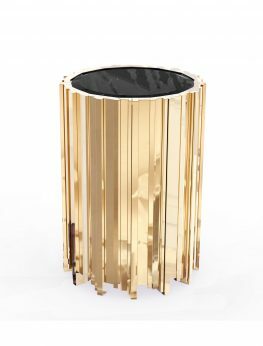 This console is cut from clear glass, and it features a rhythmic design of the gold plated aluminum base. The simplicity of the console is entwined with an intoxicating illusion of art coming to life. 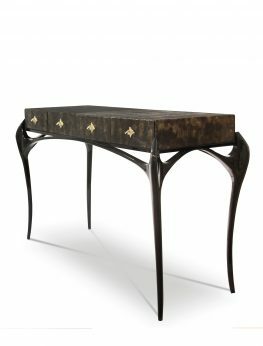 Available as Dressing Table and Console. 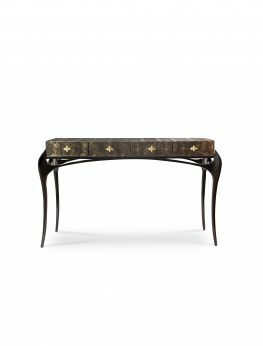 The TEMPTATION Console explodes with exoticism and verve with its untamed gold leaf curves playing side note to a four drawer top, impeccably wrapped in a bronze metallic embossed python skin, and adorned with an aged brass pull on each drawer.